After very low points in my life from 2010-2012, the last thing I thought about were positive affirmations to make me feel good about myself. I was so caught up in the every day hustle and bustle and just trying to survive as a single mom of two children. By 2012, I really hit a low point when my divorce was on the horizon and all I could think about at the time was how to survive the days, weeks, and months to come. 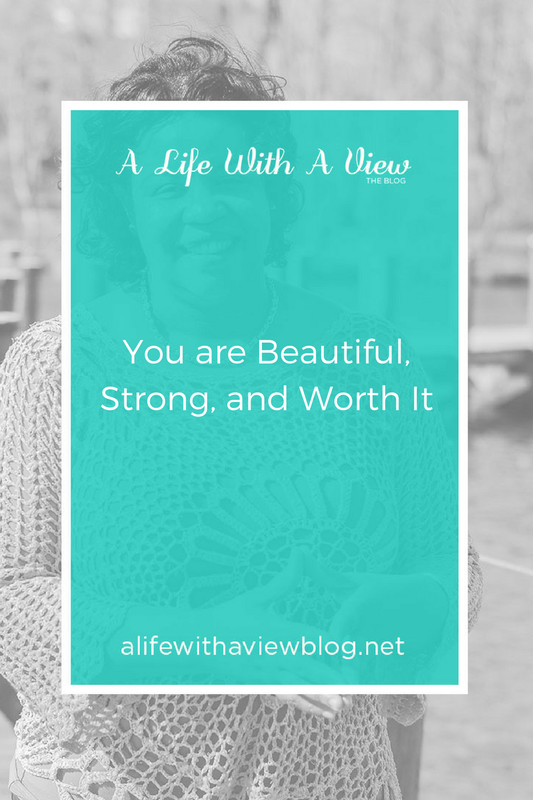 I began to feel unworthy since all of my friends were with their husbands, boyfriends, or significant others. At one point, I said: "Why me?" Little did I know at the time this was the best thing that could have happened to me and it set me on my path of discovery and healing. By 2013, I could feel the pain and struggles beginning to lift and I began to come out of my shell a bit and started writing. For me writing was the first step to healing. Then, I had to look in the mirror and tell myself over and over that I was beautiful, strong, worth it, and not broken anymore. My very first blog post focused on faith and it was more of a walk-through for me since I wanted to have faith and I just wasn't there yet. I used the first blog post as a blue print to where I wanted to be. You can find my first blog post by clicking here. As time moved forward, I began to get stronger and surround myself with people who could help me - lift me higher and support me. Even still I had to want to be strong and know that my self worth lives within me and it was up to me to make things happen and live the life I wanted. How about you? What kind of life do you want? My hope is that you believe you are beautiful, strong and worth it and this lives within you. Share your story in the comments and let's talk about it. This post is part of the #inspiringcreativepassion writing challenge based on the book, Inspiring Creative Passion. You you can follow along here on the blog, in the book, and on social media.